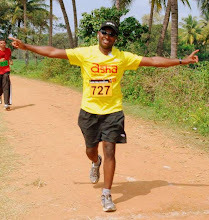 Voices from Within: Kaveri Marathon.. The truly 'lazy and spoilt' magical you(as you describe yourself) was mirrored well in the previous blog. This blog cancels it.